THRIVE is the only book available today that explains how the Law of Attraction works using diagrams that make it easy to understand this complex subject. THRIVE also contains a process that can be used successfully to turn any unwanted situation around putting you back on track to the success that you want to achieve. 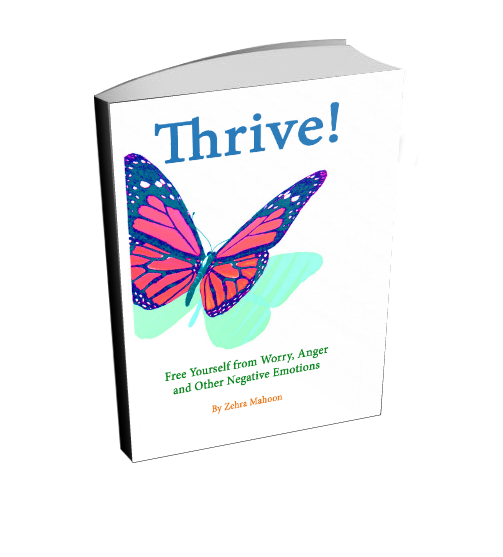 THRIVE is an easy read, written in a conversational style with lots of little stories and analogies that make it easy to remember and apply the tools contained in the book. Understanding how we can use our power to focus and think deliberately is probably the most important tool in living a happy life, yet we are never really taught how to use this powerful tool. Everyone assumes that a baby automatically knows how to use it’s brain to think on target in the same way that it knows how to use it’s eyes – and this would be true if we left the child alone – but we don’t. We indoctrinate it with our belief systems and overlay our life experience and expectations on it’s mind. By doing so we put it in a box. For some of us, it takes a life time of work to get out of that box, and for many of us a way is never found. There is true freedom in escaping that box, and this little book is aimed at giving you that freedom. Warning!!! Once you taste this freedom, you can never go back.